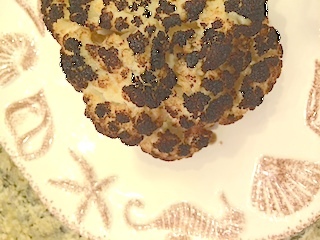 Gorgeous, Easy and Delicious: The Whole Golden Roasted Cauliflower! 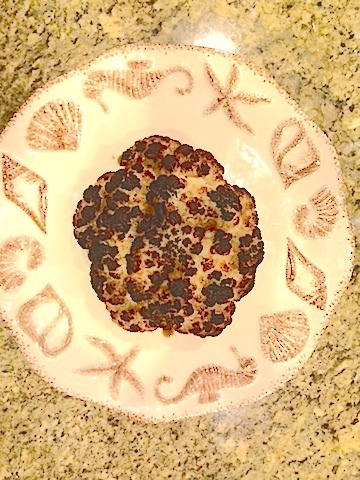 If you thought cauliflower was boring, colorless, strange-looking or terribly tasteless, then this recipe will change all that nonsense! I promise that not only will your cauliflower be infused with rich, delicious and complex flavors but it will be beautiful to look at and serve. 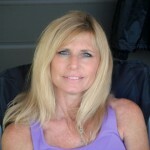 Oh and did I mention easy? 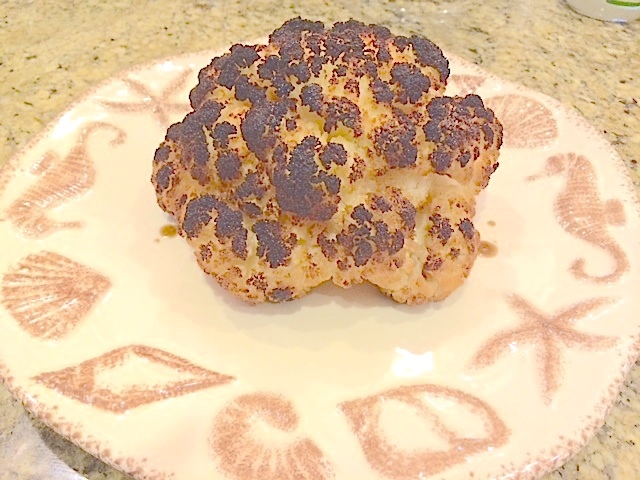 My recipe for Whole Golden Roasted Cauliflower is so easy, your guests truly won’t believe how a veggie so beautiful could be so flavorfully easy to prepare. 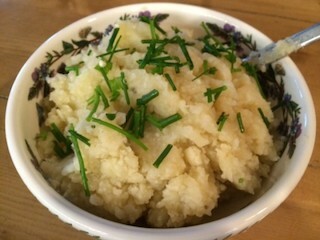 Everyone will think how creative and ingenious you are because you dared to serve cauliflower and didn’t just go the ordinary, expected and dull route of steaming. Voilà! 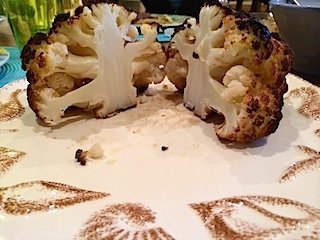 I present to you the Whole Golden Roasted Cauliflower! 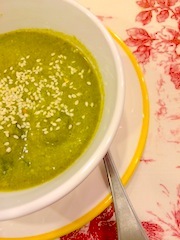 PS After the ridiculously easy recipe, read on and you will become vegucated in the nutritional bonuses of eating this white, orange or purple veggie, plus several more Vegan American Princess cauli-go-to recipes that you’ll love! In a large pot, (one that can easily fit the cauliflower), put in the wine, oil, salt, lemon juice, vegan butter, red pepper flakes, sugar and 4 cups of water to a boil. 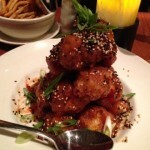 Carefully place the cauliflower into the liquid. Reduce heat and simmer. Turn occasionally. After 15 minutes, check to see if a knife can easily be inserted into center. 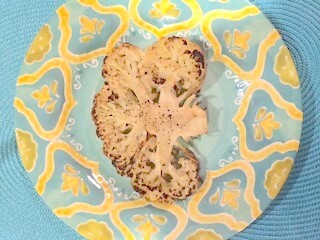 Using 2 large spoons, lift cauliflower out of pot, allowing liquid to drain and then carefully transfer the cauliflower onto a rimmed baking sheet. Reserve liquid. Roast for about 30-40 minutes, until brown all over. Check occasionally. 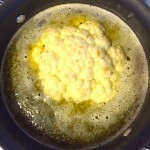 Transfer cauliflower to serving plate. Drizzle with some of the reserved liquid and a pinch of salt. The reserved liquid can form the basis of a delicious sauce, as is, or whisked into some vegan mayo for a creamier dip. Brassica oleracea is the species that cauliflower belongs to, along with its cousins the white cabbage, kale, collards and Brussels sprouts. 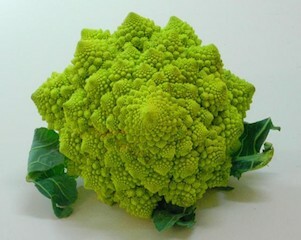 Of course, you’re well acquainted with the white variety, but there are orange and purple cauliflowers, as well as a beautiful green cauliflower known as the Romanesco. 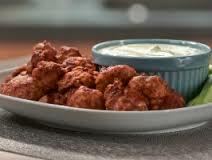 When eaten raw, cauliflower retains its content of glucosinolates, which protect against cancer in small doses, but act as goitrogens, interfering with the thyroid’s ability to absorb iodine and make thyroid hormone, in high doses. 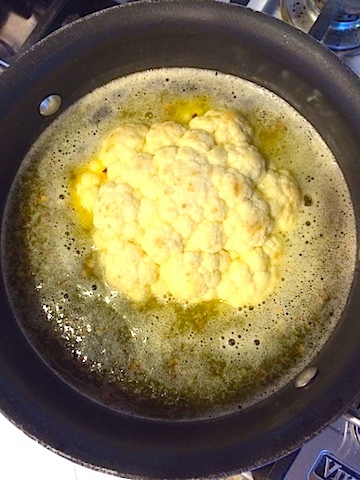 Boiling cauliflower for 45 minutes or longer removes essentially all of the phytonutrients, but boiling for 15 minutes or less has minimal effect.